You’re one of the most ambitious signs of the zodiac, Aries, and you have a reputation for rushing into things and making big decisions impulsively. This summer, rather than leaping into a challenge head first, take some time to soak up some inspiration first. A documentary or drama focusing on your specialist subjects could give you a push in the right direction. You may also find your brain overflowing with ideas. Are you in need of a good laugh? If the stresses and strains of day-to-day life have been taking their toll on your mood, escape from the real world by plunging yourself into a hilarious comedy series. We guarantee that the good vibes will spill out into your real life, leaving you spreading positivity everywhere you go. Your refreshed and energised new mood could see you making new friends and strengthening existing relationships in the process. A Netflix series packed with strong women could inspire you this summer, even if you’re a man. You love watching movies that empower you to be the best version of yourself and by immersing yourself in the world of passionate and brave characters, you may find yourself taking bolder moves in your own life. Avoid anything too dark and sinister over the next few weeks. You need something that will uplift and inspire you, rather than a show that’ll bring you down. 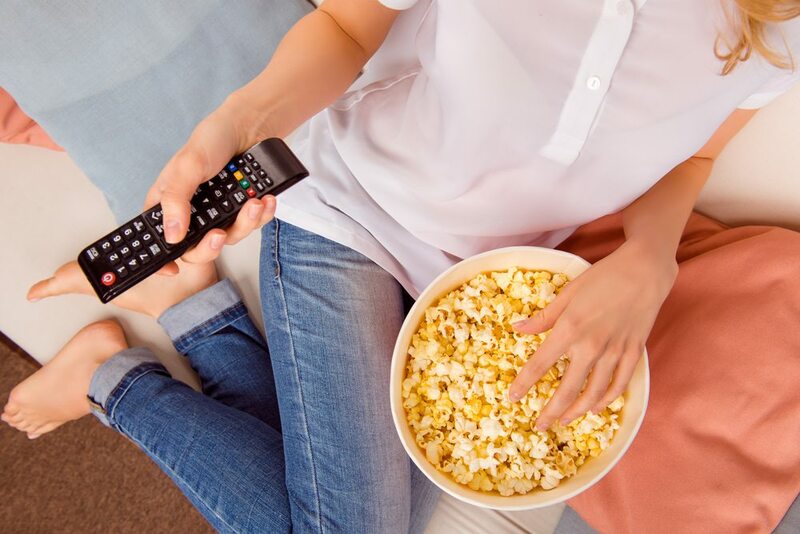 Escape to a whole new world this summer with the help of movies and TV shows that bear very little resemblance to real life. Monsters, dragons and supernatural spirits will have you glued to your TV and reluctant to do the most basic of life’s tasks. Make sure you shower before leaving the house though, Cancer. If you’ve been suffering from creative block recently, a new fantasy series could bless you with a wealth of new ideas and inspiration. A political drama could give you a healthy mix of humour, reality and drama, Leo. If you’re already passionate about politics, you’ll truly be in your element. If you’re a little politically averse, you may learn something new and unlock an exciting new passion in life. Once the series or movie is up, you’ll probably find yourself watching the news with a brand new perspective. With a reputation amongst your friends for having an overactive imagination, a post-apocalyptic thriller will give you the adrenaline rush you seek, Virgo. You’ll also have a new obsession to discuss with colleagues and a fantastic ice breaker for meeting new people. Are you in need of a pick-me-up, Libra? Whether work’s been getting you down or you’ve been struggling with relationship drama, a summer of cartoons could be just the thing you need. From childhood Disney classics to hilarious cartoons designed for adults, there’s plenty to take your mind off things and unleash your imagination. You aren’t afraid of a bit of blood and gore, that’s for sure, Scorpio! When the horror movies start rolling, you may need to have someone at your side to cuddle up to, but you’re sure to enjoy the ride. A scary movie could bring you closer to a potential love interest. You don’t necessarily have to watch the film with your crush at your side. If you can bring yourself to watch it alone, discussing the scariest moments with the person in question could unlock chemistry they never knew existed. Whether you’re a history nerd or someone who loves a bit of nostalgia, immersing yourself in a period drama or movie set in the past could give you the escape you crave. From sentimental rom coms to action packed gangster movies, Netflix has plenty for you to feast your eyes on. This summer, make an effort to step outside of your comfort zone in all areas of your life. Don’t play it safe. After all, you can’t keep doing the same thing and expecting different results. In the coming weeks, a friend, relative or love interest could inspire you to binge-watch something completely out-of-character. If you’re not a fan of the first episode, persevere. Who knows what adventures could lie ahead if you give yourself a chance. Supernatural thrillers and sci-fi classics will reel you in this summer, Aquarius. If life has been feeling a little mundane recently, mythical creatures and unusual monsters will give you much-needed escape. If things get tense, don’t spoil the ending for yourself by Googling the plot. Avoid social media like the plague because there are spoilers at every turn! A conscientious activist, you love learning about other people, places and cultures. You’re passionate about making the world a better place and you know that in order to do that, you need to expand your mind at every opportunity. Thankfully, Netflix is packed full of documentaries investigating everything from the dark side of the fashion industry to the impact of global warming.